So I’m a bit later to post today. In fact, it’s the latest I’ve posted since I started NaBloPoMo, but I think that’s okay. On a more personal note, I actually had a friend, Desteni, over today for a breakfast that extended to 2 p.m. (See the “Adventuring Solo” link on my blogroll for more info about Desteni.) To celebrate my actual social tendencies, let’s take a look at our favorites today! Yes, this is a cop-out post because I’m struggling with blogging about anything writing or reading related; however, it does fit the theme. With no further ado, I’ll tell you a little about my favorites. Wow, what a concept! I actually have a classic as my favorite? Yes, that’s right. I love the swashbuckling tale of the ever elusive, ever daft Sir Percy Blakeney and his dear, sweet wife. The Baroness’s tale became my favorite in middle school when my English teacher showed us the 1934 version of the movie. I read the book for the first time in high school and was in love. I am on a mission to eventually read all the novels within the Pimpernel series to be quite honest. I have only found the first in print at bookstores, but will be on the lookout for others in the future. The Baroness has a true fan in me! I’m eclectic, a word most people (me included) use to describe their music tastes. However, I refer to genres. I’ll read historical fiction, romances, fantasy, general, classical, and a few others. Right now it’s a toss-up between fantasy and romances. I’ll admit I’m not a fan of first person unless it’s done incredibly well. Third person is my standard, and if it’s omniscient, it’s even better. I like getting an overview of all the pertinent players instead of sticking in one person’s head. Honestly, I love a ton of romances. But these three represent three very different things to me. 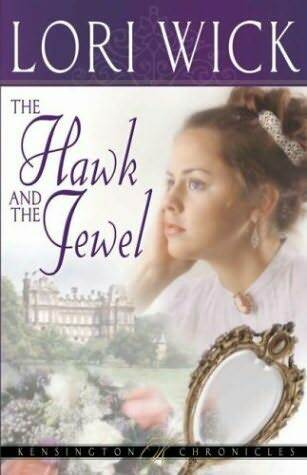 The Hawk and the Jewel represents my adoration for historical British fiction. The Princess represents my introduction to the romance genre. And Donovan’s Daughter represents all the good things I love in romance. And, yes, these are all Christian romances. Perhaps I should add a Christian subcategory, but I don’t want to go into that much depth! That’s beside the point. Lewis introduced me to the world of fantasy as a child. Tolkien made the fantasy come to life. And Rowling reminded me of what it is to feel childlike faith in a fantasy again. I think they offer a good mix. I won’t rant and rave here. Honest. I’ll just point out that Lauren Willig not only revived my faith in authors trying to channel the classics but she also channeled the one classic I adore: The Scarlet Pimpernel. Willig’s series of bumbling, dangerous, deadly, and humorous French Revolution spy novels is lovingly coupled with the young woman who sets out in modern times to discover their secret identities. Plainly put, I love this series of books, and I plan to write about them in due time. I just have to do them justice, which will not happen today! Favorite Classic: Outside of The Scarlet Pimpernel, I am a Jane Austen fan. Simply put, Austen’s classics do not bore me to tears, make me want to burn the books, fill me with despair, or leave a bad taste in my mouth. Instead, they make me smile with amusement at the antiquated wit and whimsy she writes into her tales, and I find myself feeling light and cozy. It’s the perfect pairing for a rainy day (like today). Ted Dekker knows the art of suspense. His books are chock full of it. He weaves the art of storytelling with the art of suspense-writing and creates vivid worlds where the best response I can give is to turn the next page until I’ve reached the end. Combine Dekker’s suspense with Frank Peretti’s art of addressing the supernatural, and you get chill-inducing fiction which thrills and frightens. I do believe that is quite enough of my favorites for today. I’m planning a later post with my least favorites (which will hopefully gain a more entertaining title by then), but I want to hold off on that for a while. So we’ll see how that goes. Feel free to let me know what your favorites are! I’d love to hear about new authors that I can check out and books that you enjoy. (Come to think of it, I’ll have to make another post on my nonfiction favorites as well.) And if you have any comments about my favorites, I’d like to hear it. P.S. 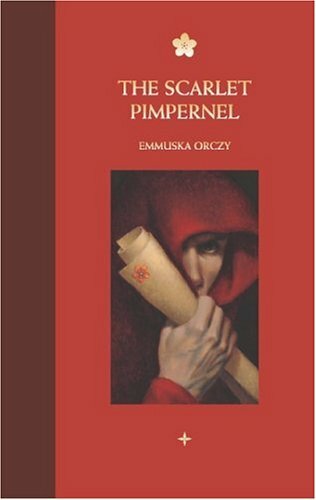 In case you’re curious but don’t want to spend money, you can read the e-book version of The Scarlet Pimpernel here. Please note that while this blog is opinion only, I hold all copyrights to the material I write. If you wish to repost anything on this page or any others, please let me know and include a link back to the original post. Thank you!